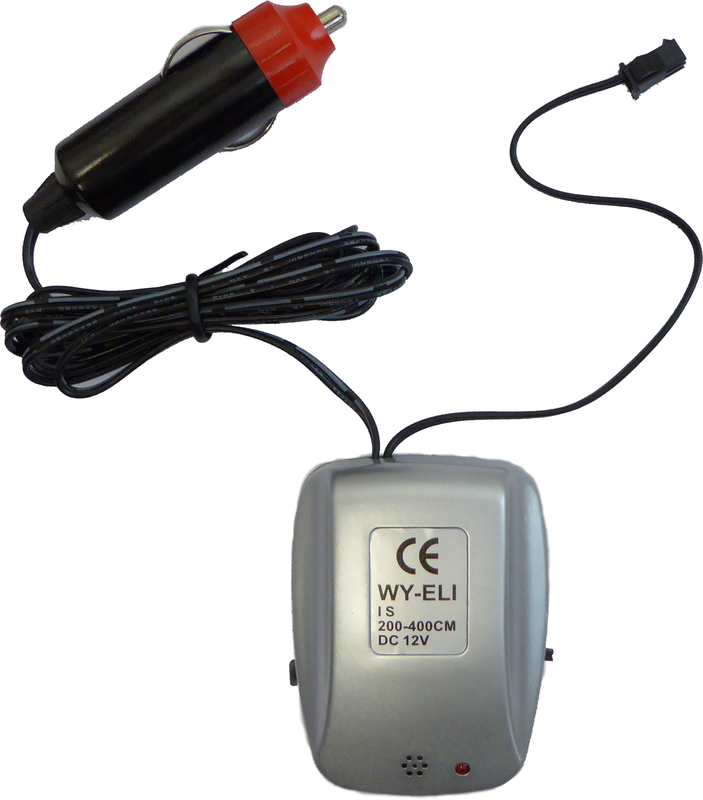 Car EL inverter - Sound sensitive LED driver for glow el wires. Just connect this controller to el-wire and you will get a lot of new features at the moment. LED fiber will react (glow) when captures any sound around. After detection of the music, it will start flashing to the rhythm, it will glow at any sound etc. With the potentiometer, you can control sensitivity of device to sounds around. Inverter allows more light neon fibers, but their total length must not exceed 10 meters. To use of multiple strips, you must purchase splitter - the plug for connecting multiple strips.